New Calendar! Updated 18/02/2019 – Click here to view! More to be added over next few months! 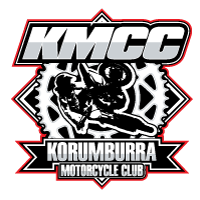 Welcome to the website for the Korumburra Motorcycle Club! To fill out and pay using our online membership form – click here. Our memberships run from January 1 to December 31 each year. Full details of the costs are detailed on the Membership Form. You must be a member of our club to participate in any events. Membership forms are always available at any club events. © Korumburra Motorcycle Club Inc.